This page explains options for bus services between Laos and China. The Laos – China bus service is available for Yunnan, the border province of China, and some northern provinces and the capital of Laos. Buses from Laos to China go to Meng La, Jing Hong and Kunming prefecture, in Yunnan province (the province that shares a border with Phongsaly Province in Laos). 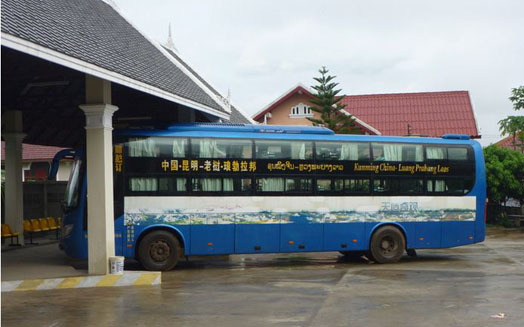 There are of course buses from these places in China to several destinations in Laos. There are two buses daily from Phongsaly to Meng La, the border town in China. From Meng La to Phongsaly, the departure time is some what unclear, but the bus arrives at Phongsaly bus station around noon. That means it departs from Meng La around the same time as it does from Phongsaly, provided that it take the same length of time. There is one bus daily between Luang Namtha (southern bus station) and Jing Hong via Meng La. From Jing Hong the bus departs around the same time as it does from the Laos side. It arrives at Luang Namtha station around 3 or 4pm. There is one bus daily from Oudomxay to Jing Hong via Meng La and vice versa. Bus: 25-seat regular, no air-con. Departure time from Meng La is unclear (presumably around the same time as it does from Oudomxay). There are buses to China from Bokeo, however at the moment no information is readily available. The only info I’ve got is that the bus leaves from the new bus station operated by a Chinese company. And there is no longer any bus to China from Keochampa bus station where there used to be. 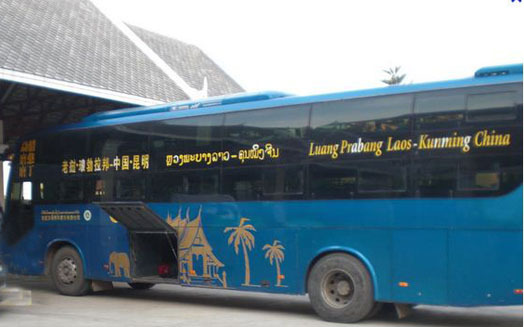 There is one direct bus to Kunming daily from Na Luang bus station (in Luang Prabang). From Kunming to Luang Prabang, the bus departs from Kunming Southern bus station. There is one bus to Kunming and one to Jing Hong via Meng La. The buses depart from the Northern bus station located on Sithong Road around 7 km north of Vientiane city centre. Note: Bus schedules and fares subject to change without notice.